This is typical of what I hear when I occasionally pop into S & M Myers in East Finchley. 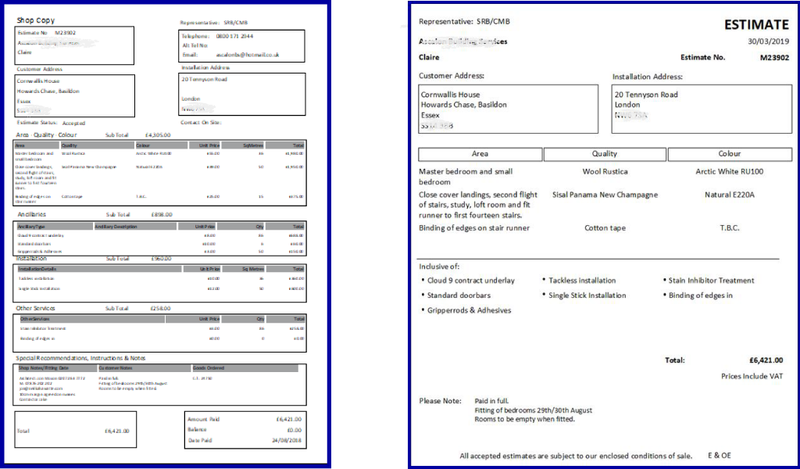 Here we installed the system that produces a detailed quotation / invoice system. It can easily be searched by name or address. Having the details easily available results in a sale – confident that the company knows its customers and the products it has sold them. Produces accurate quotations based on the cost of carpet square meterage, the cost of underlay, fittings including door bars, stair rods, gripper and other accessories. Produces a shop copy breaking down the costings for each area. 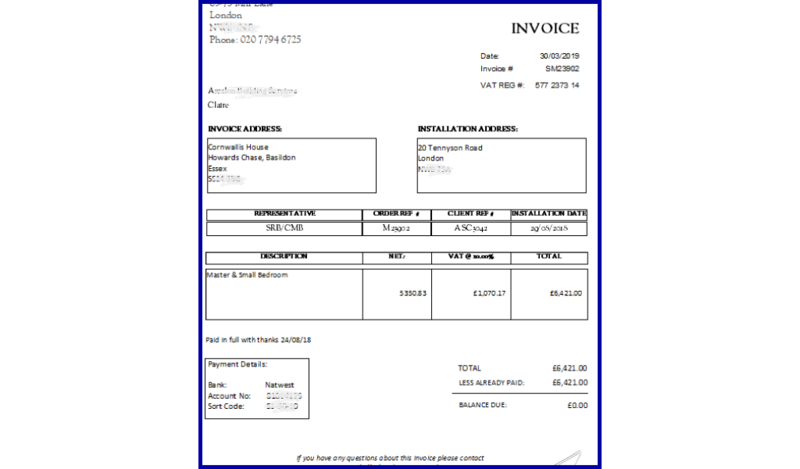 Produces a quotation for the customer which is easily convertible to an invoice. Customer Summary – Easily searchable by name, postcode etc. Estimate Details – Breaking the job down into its component parts and totalling the costs. The system can be designed for your company with layout styles to match your company’s typeface, design and logo. The cost includes installation on one or two PC’s and three months telephone and remote support.